Galintel® Multi-Rib T-Bars are cost effective lintels that provide structural rigidity, high strength-to-weight ratio and resistance to corrosion. The multi-ribbed profile forms a superior bond with the mortar. This bond between mortar, brickwork and lintel creates a composite beam of superior strength and structural integrity. 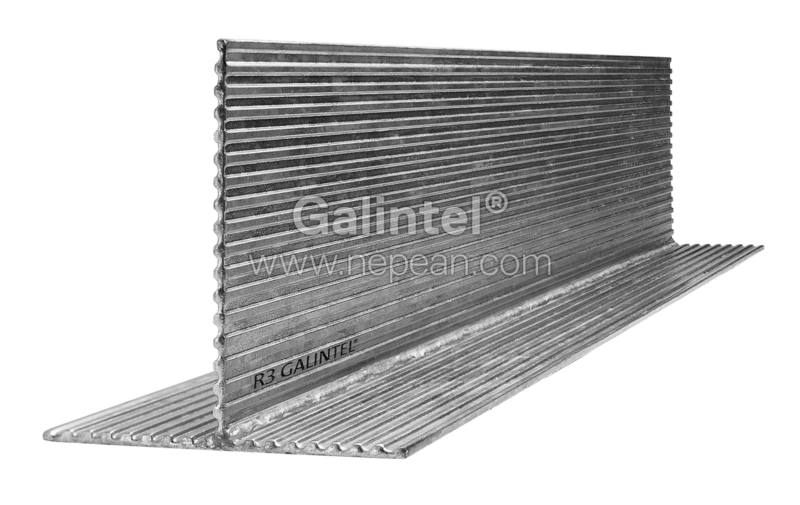 The Galintel® Multi-Rib T-Bar is a total load bearing lintel designed to support 230mm brickwork over a clear opening.